As compared to other trekking routes in the Everest Region, Everest view trekking is relatively easy and short as well as very spectacular. This trek takes you to introduce mountain villages, Sherpa people and their culture along with great views of world’s highest mountains including Mt. Everest. Everest view trekking starts with a half an hour mountain flight from Kathmandu to Lukla. After you land at Lukla airstrip you begin trek heading to Phakding where you spend the first overnight in the mountain.. Next day morning you walk following Dudha Koshi River and then gently climb forests of rhododendron and magnolia and arrive at Namche Bazaar, a bustling Bazaar (market), a junction for trekkers. Here, at Namche Bazaar you spend one more extra day for acclimatization and excursion. On the rest day you make excursion to Syangboche, one of the major spots for the view of Mt. Everest, Mt. Lhotse, Mt. Ama Dablam, Mt. Thamserku, Mt. Kangtega, Kwangde etc. Then, you keep walking to Khumjung village, a typical Sherpa village where you will explore Sherpa culture, tradition and lifestyle..
Lots of the world renowned climbers such as Tenzing Norgay Sherpa, Apa Sherpa and many other climbers belong to this ethnic community. In Khumjung you meet local people, experience their lifestyle. Visiting Khumjung Monastery makes your walking more significant. Next day you trek to Tengboche where a famous Sherpa Buddhist Monastery is located. In Tengboche you will meet Buddhist monks and see their daily rituals inside the Monastery. Tengboche is the final destination of Everest View Trekking. 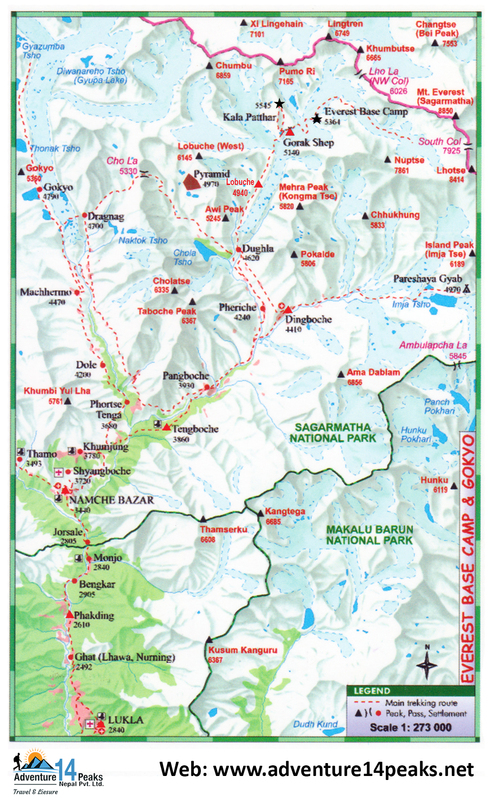 From here you return to Lukla via Namche Bazaar and take a flight back to Kathmandu. is ideal for older, family with children those people who desire to see world’s high mountains including mt.everest and Island peak climbing know as Imja tse within short days. 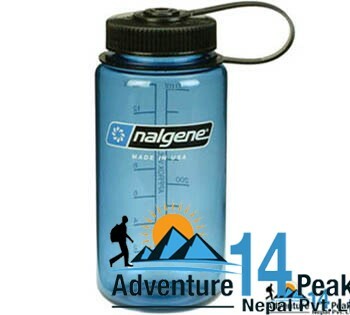 Everest view trek is also known by Everest PanoramaTrek following the same itinerary and duration. This is a real holiday trekking you will ever remember in your lifetime. We take a walk descent down to Dudhkoshi River passing through little villages on the way. The trails involve down with forest and across riverside for the lunch and we take a final ascent step up for 2 hours through pine and fir forest to reach a small hill Tyangboche. It has the famous Tengboche Gumba to explore for the day. The photogenic views from here are considered to be the world's most splendid one. Everest, Nuptse, Lhotse (8501m), Kwangde (6187m), Tawachee (6542m), Ama Dablan, Kantega and Thamserku provide an inspiring views of Himalayan giants. Tengboche also boasts famous Tengboche Monastery. Over night at lodge. The journey within the mountains of Nepal comes to an end today! At last approximately 3 hours before our scheduled flight, a representative from Adventure 14 peaks drop us to the airport. On our way to home we will have plenty of time to plan our next adventure trip in the wonderful country of Nepal.